Only a week is left until one of the major events of Spring 2018. 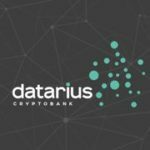 On March 5 at 12:12 UTC Datarius, the first social p2p cryptobank, launches its Main ITO Round. The project has already experienced more than a year of preparatory work, attention from key personalities and companies, crypto-community support, highly successful pre-ITO round, gap analysis, a fivefold increase in the number of community members since the beginning of the year, and high ratings of the rating agencies. Datarius is the first social p2p cryptobank. The main idea of the project is to provide the consumer with the widest range of financial instruments. The widest possible. To bring the maximum number of financial consumers together. To give freedom of choice and action. To provide a high level of automation. To create a truly social fintech product. We will prove by ourselves that the decentralization and lack of borders are benefits, and a financial company can and should be a partner and a friend. No one fintech project has thus far paid so much attention to socialization and direct interaction between the participants. The project team decided to completely eliminate the strict regulation, preserving only the technical support of the platform and providing a wide range of the related services on an equal basis with other project partners. Users will have the right to choose the most appropriate cost and terms of borrowing funds. They will always be able to call on analysts, risk managers, databases, credit and user ratings, the entire history of transactions and expert opinion – not one and not just of the project’s staff. DTRC token is a unique key and the only tool to access all the benefits of the Cryptobank: loans with the most favorable terms, joint investments, personal piggy cryptobank, trust limits, trust management and much more. The ITO round, which runs from March 5th to April 5th, is the last chance to become the key holder and get significant bonuses. The emission of tokens will end together with the round. The number of people, willing to gain access to the most complete set of financial instruments, will continuously grow and the number of tokens will remain the same forever. 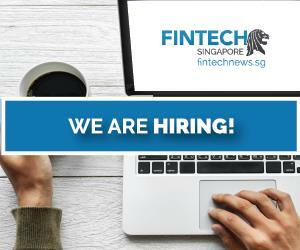 This is the last unique opportunity to become an active user of the bank of the future and start earning money with the project’s team. Subscribe to any project’s official social media to stay abreast of the latest news, updates and to follow the Datarius development. Participate in the Referral Program of the project and share your vision and information with friends to get an additional 5% bonus. Come on March 5 at 12:12 UTC to participate directly in ITO and get a 30% bonus. Since the 15th day and until the round completion no bonuses will be available. 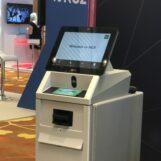 In January, the team decided to bring the product to market as soon as possible. The launch will be effected through the integration of the DTRC token into a classic core, which has been under the development of the large studio аrtARTERY with an extensive experience in developing classical banking applications since mid-2017. Though the main round hasn’t finished yet, the company has already submitted an application for a license, which completely covers the legal framework for implementing and launching a commercial version of an ecosystem with its basic functionality. The strategic objective of the team is to celebrate 1,000,000 users as early as 2019. Are you sick of lobbism, opacity, greed, classical financial systems banality? Do you aspire to freedom of choice and financial services? Do you believe in the future of decentralization and blockchain technology? Do you want to make money with your bank? We too! Datarius is your social p2p cryptobank. March 5, 12:12 UTC at datarius.io. Disclaimer: this is an article written by Datarius. 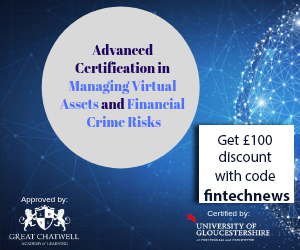 Fintechnews does not endorse and is not responsible for or liable for any content, accuracy, quality, advertising, products or other materials on this page. Readers should do their own research before taking any actions related to the company. 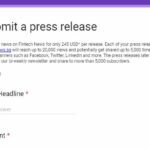 Fintechnews is not responsible, directly or indirectly, for any damage or loss caused or alleged to be caused by or in connection with the use of or reliance on any content, goods or services mentioned in the press release.